Over 288,000 residents have chosen Medicare Supplement plans in Missouri. You might compare that to about 1.2 million total beneficiaries of Original Medicare. If you’re about to turn 65 or dissatisfied with your current Medicare benefits, you might be interested in learning more about Medicare Supplement plans in Missouri and how they might benefit you. They help pay for the gaps in Original Medicare that are caused by coinsurance, copays, and deductibles. The quickest way to find a local Medicare Supplement plan is to use our online quote form. Find “Missouri” in the quote box, submit the form to get started. Alternatively, you are welcome to call the toll-free phone number. We can provide you with more information about your local options. Over half of Missouri Medicare recipients chose either Medicare Advantage or a Medicare Supplement plan. Virtually all of the rest of the beneficiaries have some other benefits from work, a union, or the government. Since Part A and B of Original Medicare can leave beneficiaries vulnerable to out-of-expenses because of deductibles and coinsurance, most seniors realize they should consider other coverage. The attraction to a Medicare Supplement plan in Missouri is often the freedom from networks and the predictability when it comes to Medical costs. Most Medicare beneficiaries find that the best time to apply for a Medicare Supplement plan is right about the time that they first get Original Medicare at age 65. You get six months surrounding your first Part A and Part B enrollment to apply without having to submit to any health underwriting at all. That means that all Medicare Supplement plans must accept you. In Missouri, this Guaranteed Acceptance Period applies to people who get Medicare because they are 65 or older and to people who get Medicare because they are younger and disabled. An insurer may impose a waiting period of up to six months for a pre-existing condition if you don’t have creditable coverage from another insurance plan. Also, you’re allowed to switch to the same Medicare Supplement plan in Missouri from other companies at your renewal date each year. Since companies may increase rates each year for a variety of reasons, this is handy to know. 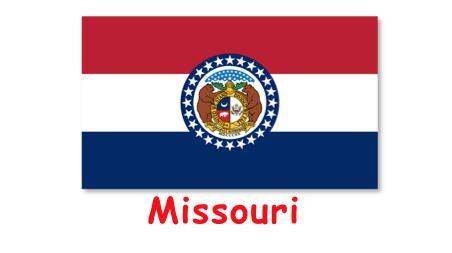 Can I Use My Missouri Medicare Supplement Plan in Another State? One of the things that owners of Medigap plans like best is the fact that their benefits are incredibly portable. If you plan to spend time camping in your RV or visiting your grandchildren, you’ll be happy to learn that you can find providers who will take your Medicare Supplement plan all over the country. Unless you purchase a “Select” plan, you don’t need to worry about finding network doctors or clinics. You also won’t need to call your primary care doctor for a referral to a specialist. If you plan to change your home address permanently, you will need to contact the provider of your Medicare Supplement plan in Missouri to tell them. It’s best to tell them in advance, but you may have a few months afterward too. Nationwide insurers can usually change your same plan to a new state very quickly, and you probably won’t notice much difference. Of course, your plan premiums may vary because of your new hometown. You may read reviews of your insurer in your new state and decide you want to change Medicare Supplement plans. That will depend upon the new state’s rules, but you generally have another Guaranteed Enrollment Period when you move into or out of a new hometown. Best Medicare Supplement Plans in Missouri? Chosen by about 40 percent of all purchased Medicare Supplement plans in Missouri because it offers all of the allowed benefits in their outline of coverage. In addition to primary benefits, it pays for excess charges from medical providers who charge more than Medicare says they should, the Part B deductible, and urgent care outside the U.S.
Has become increasingly popular because it is almost identical to Plan F. It only won’t pay for the Medicare Part B deductible, and it’s usually considerably cheaper. Imposes some cost sharing in the form of co-pays for some visits to the emergency room or doctor’s office. It also doesn’t pay for excess charges. Still, lower premiums make it a budget-friendly Medicare Supplement plans, so it’s growing in popularity rapidly. You might choose a Plan F or G if you’d rather pay somewhat more for your Medigap plan and let your insurer handle most of your medical claims. You may be satisfied with lower premiums for Plan N if you don’t mind sticking to doctors who accept Medicare Assignment and would not mind paying co-pays for specific services. Where Can You Compare and Buy Medicare Supplement Plans in Missouri? We have worked hard to make it easy for you to compare and buy a Medicare Supplement plan. Use the quote box on this page or contact us at 888-414-4547 for additional help. Our Medicare Specialist will be glad to help you sort through your Medigap plan options. If you decide to purchase a plan, we can help you apply right over the phone.